Our photographers specialize in fun, carefree photo sessions that your family will love. Get stunning pictures that capture your personality effortlessly, and bring a smile to your face year after year. Families love to hire our photographers for vacation photos, reunions, and multi-generational family photos, vow renewals or simply a day at the beach. Let’s tell your story by capturing these authentic moments. 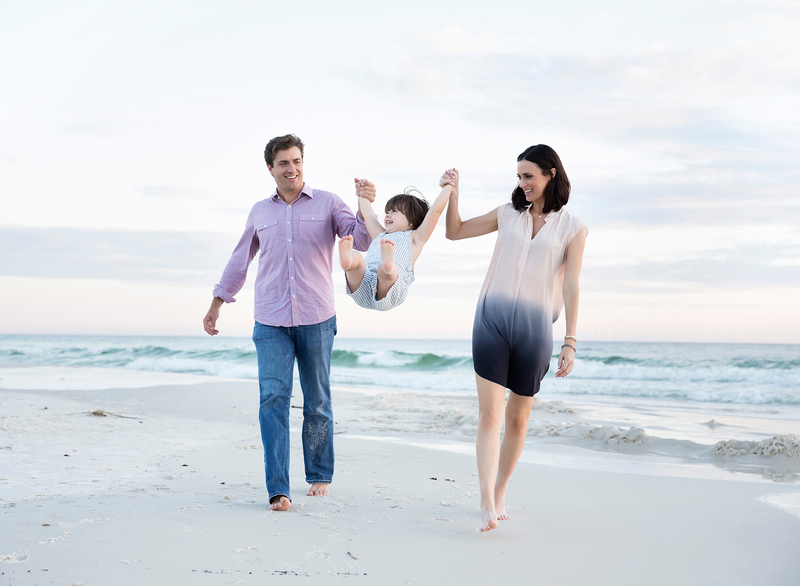 Our team of photographers is based in Rosemary Beach Florida. We know some of the best locations to take photos along Scenic 30A – let’s meet at your resort, beach house or on the beautiful beaches! • Takes place along 30a. Off the beach only. To receive a complete price list including collections and album pricing, please send an email via the inquire page. YES! For more information and details view the Senior Portraits collection below. WHAT ARE THE BEST SPOTS ALONG 30A FOR A PHOTO SHOOT? Let’s talk locations, prices, and book a session together.